Blizzard Nail Varnish is definitely my favourite piece from Illamasqua’s Holiday 2013 Envy collection, but since I consider myself something of a collector when it comes to their stunning eye palettes, there was naturally going to be a space in my stash for the Illamasqua Fatale Palette*. 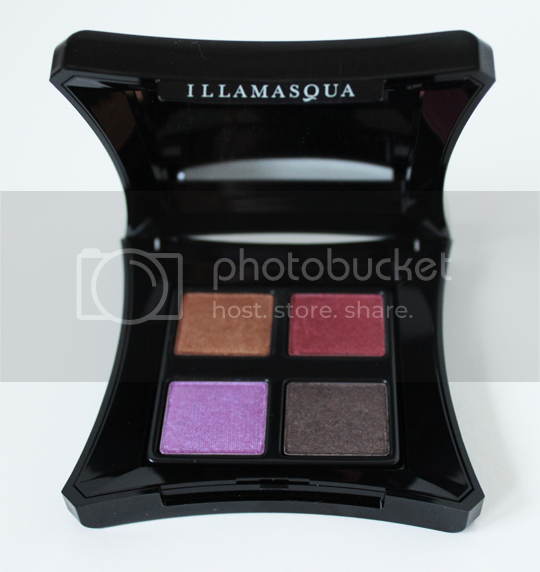 After the release of Illamasqua’s unique water-resistant eyeshadow formula in the form of the Reflection palette and Paranormal palette in their last two collections, I was quite pleasantly surprised to see the classic powder formula make a comeback in the Fatale palette. The four shades, clockwise from top left, are the stunning golden Bronx, shimmering cranberry Ensnare, duochrome lilac Charm and suits-all cool toned taupe brown, Mystify. 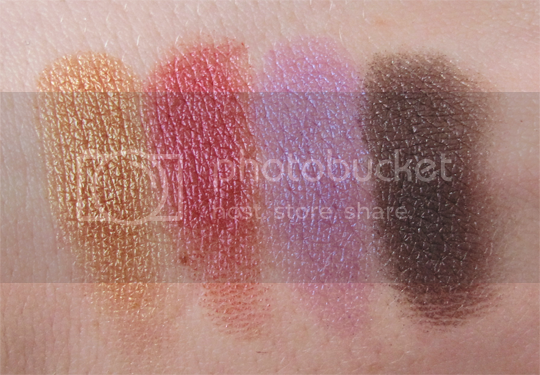 My personal favourite shade is (unsurprisingly) Ensnare – and I am particularly in love with how Ensnare and Bronx look blended into one another on the lid. Blending shades together is as effortless as ever, and as much as I love the creamy formula of Illamasqua’s recent palettes, the powders will always prevail for me when it comes to ease of use, pigmentation and blendability. 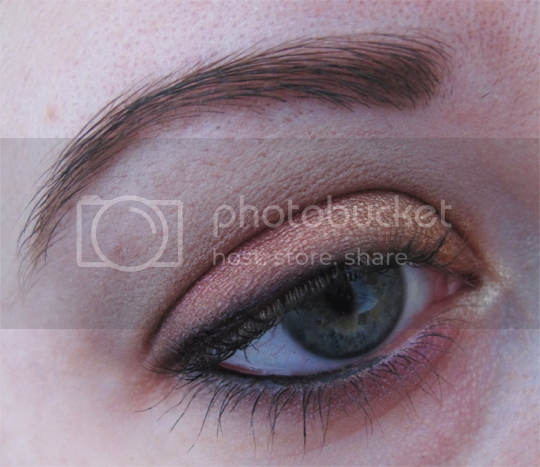 As always, Illamasqua’s palettes are incredibly versatile – the beautiful Rose from Illamasqua demonstrates this in the video below much more amply than I do in my pathetic attempt at an eye look. I am OBSESSED with Rose’s look here! If you’re liking the look of the Fatale palette, you can pick it up on counters, in standalone stores and online for £34. 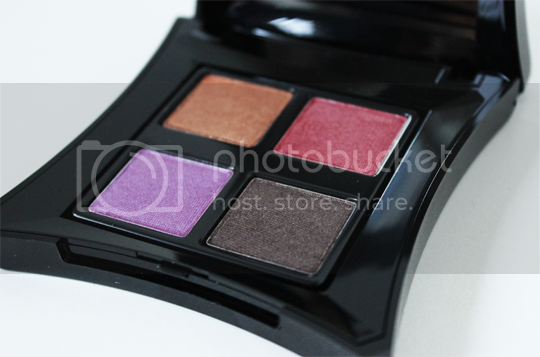 I love this palette – I was so pleased it was a powder formula as well! 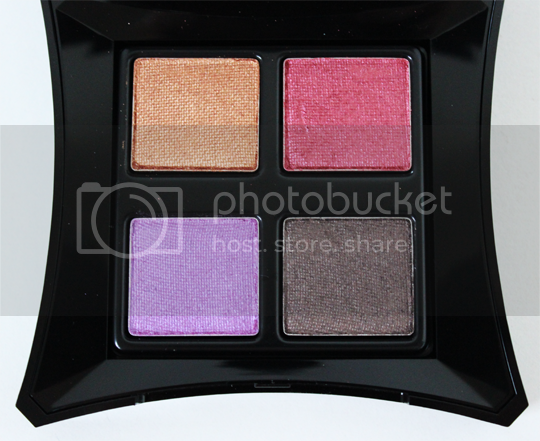 Love the cranberry shade, such bright colours too, I love the selection you get here!